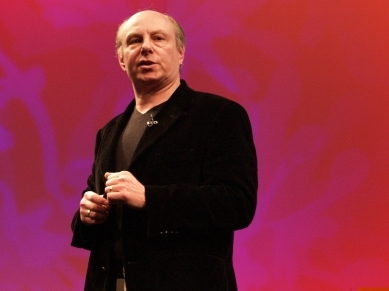 While this TED Talk was first delivered by James Howard Kunstler in 2004, virtually all of it still holds true today more than a decade later. In the speech Kunstler, an outspoken critic of suburban sprawl, discussed the idea that designers and officials have seemed to largely forget how to properly design public spaces, which he contends should be thought about more carefully as spaces created and framed by buildings. Instead, he says, that America’s suburban sprawl has been the “greatest misallocation of resources in the history of the world.” He goes on to say that suburbia is largely not worth caring about by anyone, and is the reason why those areas of the United States continue to fail to deliver on any of the promises they originally touted following the end of World War II. The nearly 20-minute talk includes a variety of colorful comparisons and striking examples of how poorly designed America’s suburbs are. The ongoing argument throughout the course of the speech, is that these places are not places worth fighting for; and that our armed men and women fighting for American freedoms deserve better. As planners throughout North America continue to spend exhaustive amounts of time reviewing said curb cuts, total signage area and other rather trivial details, Kunstler argues that the bigger picture of building proud communities is being missed. While the New York native does not discuss Cincinnati in his talk, he very well could have. While most regions have their fair share of poorly designed suburbs, Cincinnati has become infamous for having some of the worst in the United States. Suburbs that are so bad, in fact, that even The Enquirer editorial board recently published an opinion urging the move away from such badly designed communities. Randy is an award-winning urban planner who founded UrbanCincy in May 2007. He grew up on Cincinnati’s west side in Covedale, and graduated from the University of Cincinnati’s nationally acclaimed School of Planning in June 2009. In addition to maintaining ownership and serving as the managing editor for UrbanCincy, Randy has worked professionally as a planning consultant throughout the United States, Korea and the Middle East. After brief stints in Atlanta and Chicago, he currently lives in the Daechi neighborhood of Seoul’s Gangnam district.